Today's post is very special as I am showing a new brand on the blog. EL-Corazon is a Russian nail polish brand. I come to know about them few months back may be in august or end of July. I am mesmerized with their collections and variety of finishes. As soon as i saw these polishes i knew i have to have them. 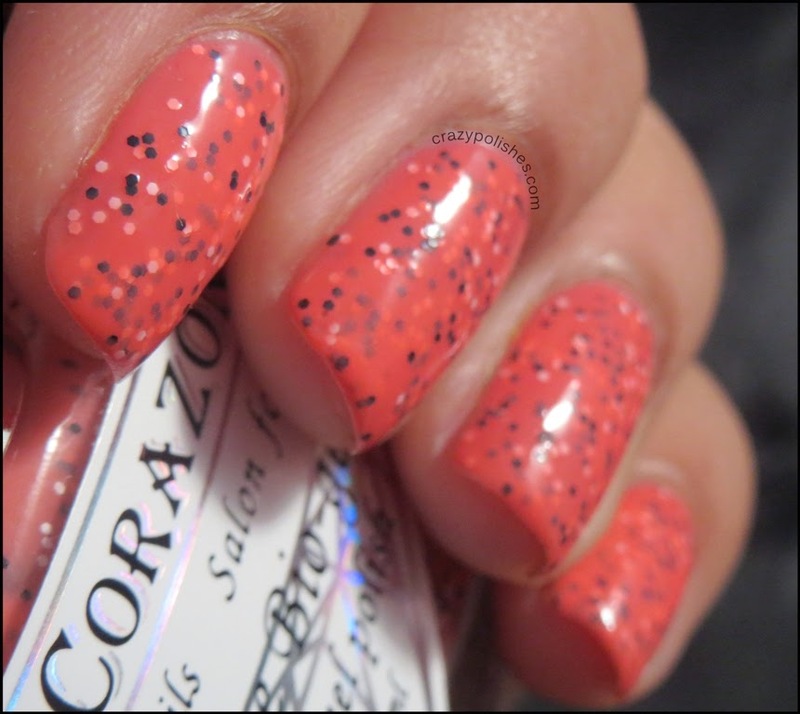 El-Corazon has different collection like Eggs of Wild Birds, kaleidoscope-mirror, Glamour, Confetti, Magic shine etc etc. Today i have polishes from Fenechka collection. Fenechka collection launched in summer and has 11 creme-jelly polishes, mix of neon and pastel shades. All the polishes have small matte black and white hex glitters. 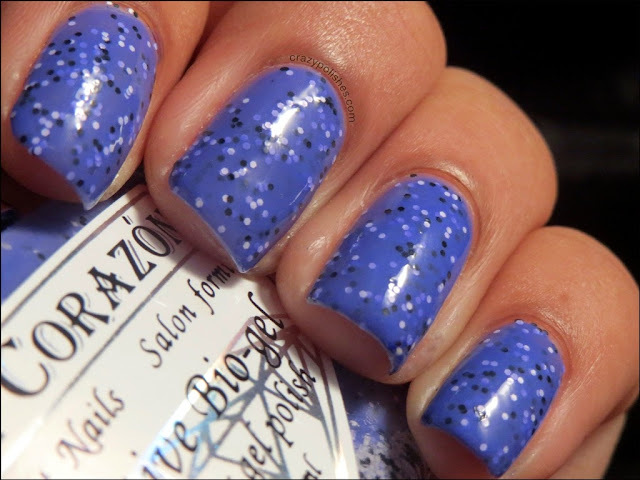 Please click read more to see detailed swatches. First is 423/122 is a neon yellow shade. Formula is great but requires two coats to be fully opaque. It somehow looked matte even after applying 2 coats of seche vite. 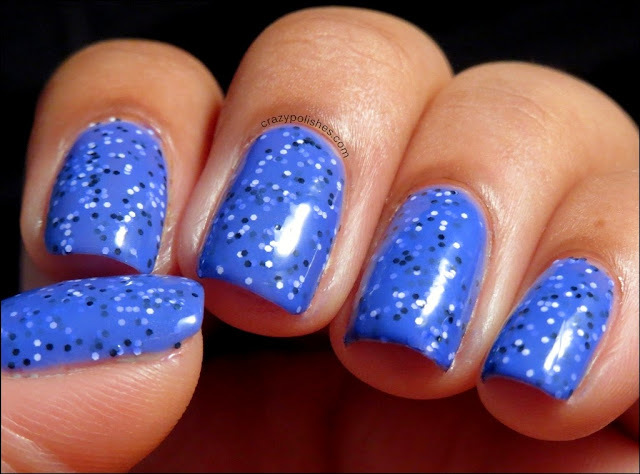 I dont know why but the polish is really beautiful. twocoats for following pictures and 2 coats of seche vite. 423/123 is a mint crelly polish. 2 coats for the following pictures and a coat of seche vite. 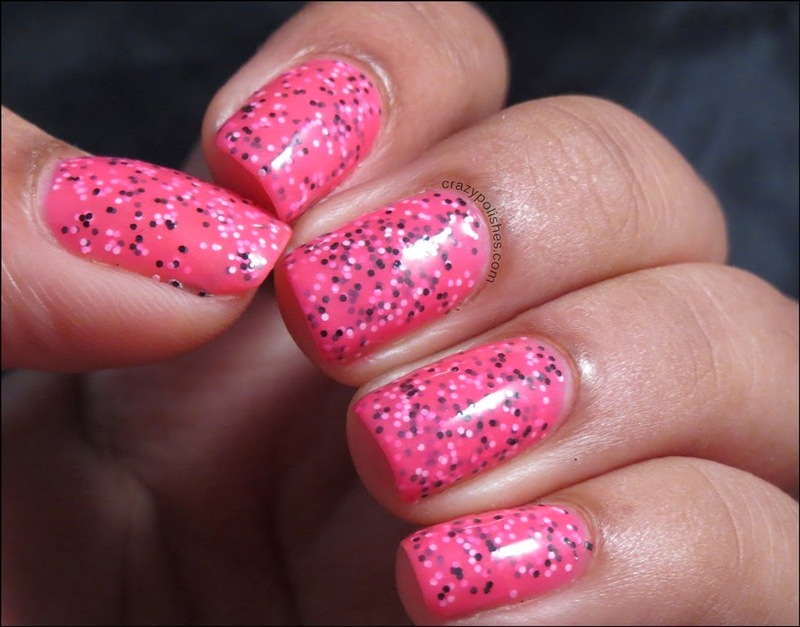 423/124 is a neon pink crelly polish. 2 coats for the pictures with a coat of seche vite. 423/125 is bright coral color. This color looks very bright and absolutely lovely. two coats of polish followed with a coat of seche vite. Lastly 423/130 is a bright purple crelly polish. The shade is just beautiful and these swatches don't justify the shade. Its brighter than its looking in the following pictures. the first picture is probably most color accurate. two coats for following pictures and a coat of seche vite. I believe i have one more polish from this collection but i forgot to swatch it. Maybe i will swatch it later with a nail art. 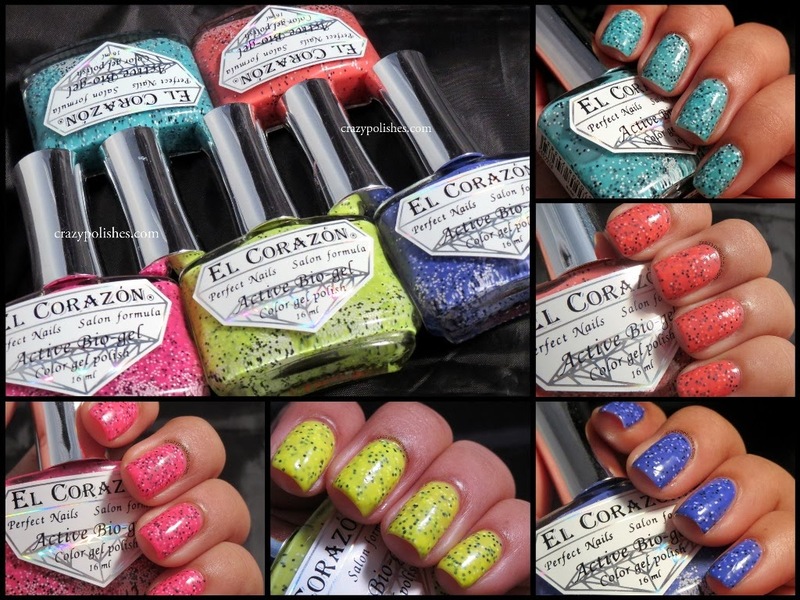 El corazon polishes costs 2-3 GBP and you send your order directly to ele69961523@yandex.ru and they do ship worldwide. You can also check Elcorazon Website and their Facebook Page to see updates, collections and announcments. I will be swatching few more of their polishes by the end of this month or first week of next month so stay tuned. If you have any other queries regarding these polishes or how to buy them than feel free to mail me or ask here in comments. **product sent to me for reviews.